The Hydro-Force Truckmount Descaler and Neutralizer is a 2-part descaling system that effectively descales the toughest jobs, while also being safer for the technician and environment. Step 1 removes scale and deposits from your truckmount so it can run more efficiently, and Step 2 neutralizes the acidic wastewater so you are compliant with local wastewater regulations. This helps our water treatment plants operate more effectively, and minimizes your liability and risk of paying steep fines. 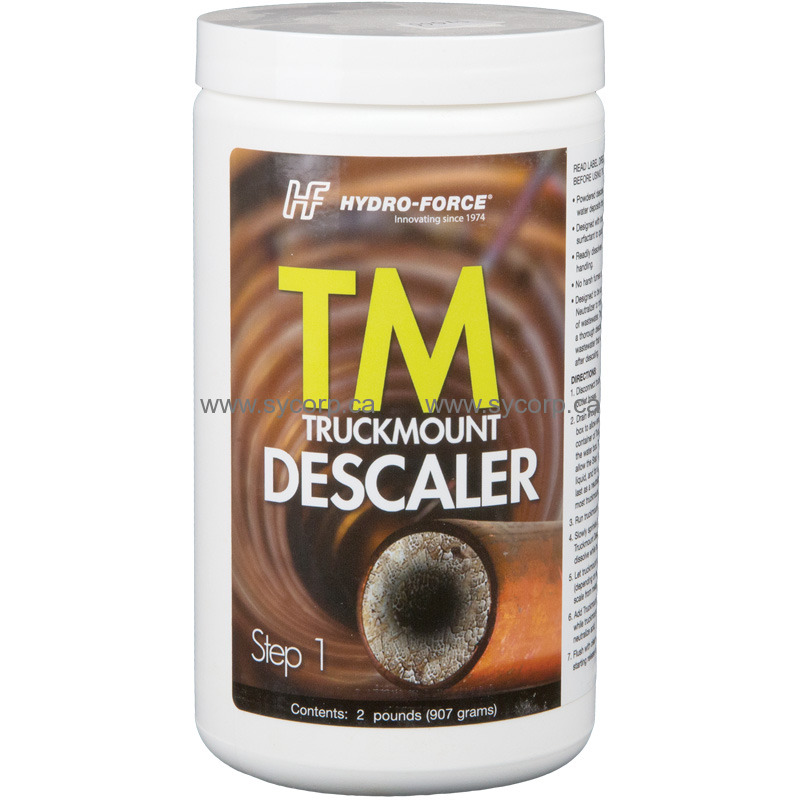 REMOVES THE TOUGHEST SCALE – our Truckmount Descaler is a perfect blend of acidity and surfactancy to allow the descaler to penetrate deeply into built-up scale and remove even the toughest buildup. EQUIPMENT SAFE - special additives protect metals from corrosion. SAFER FOR THE OPERATOR – powdered descalers are safer than liquid descalers as they reduce opportunities for splash injury and make handling easier. SAFER FOR THE ENVIRONMENT – 2-step process effec­tively descales equipment, but also neutralizes wastewa­ter so it’s compliant with local wastewater regulations. NOTE: This is Step 1. Both Step 1 and Step 2 are needed for a complete descaling and to neutralize waste water.